The remake of 3D Realms’ old shooter Shadow Warrior was set for release next month, but it’s now been delayed, meaning you’ll be waiting an extra month for your dose of Lo Wang. The PS4 and Xbox One remake was scheduled for release on September 26 – a year after the Pc release – but has now been delayed to October. “In play testing we have been focusing in on the controller inputs and response,” said developer Flying Wild Hog. “We recognized that we needed more time to improve this as Shadow Warrior is an old school FPS and this demands perfection. 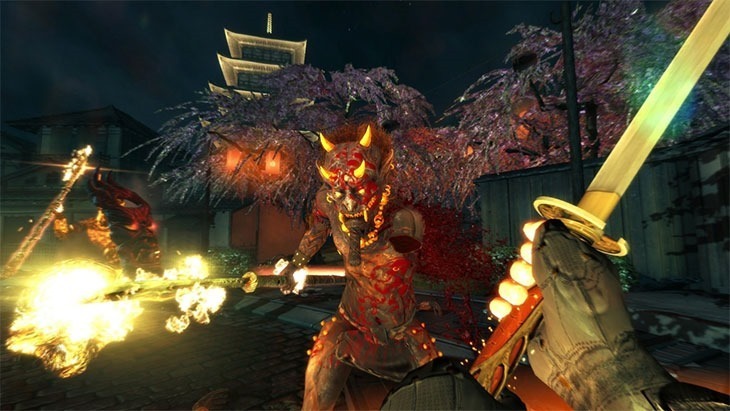 Those who buy it on PC get Viscera Cleanup Detail: Shadow Warrior for free, a crossover game that has you cleaning up the mangled and gibbed bodies of Lo Wang’s enemies.